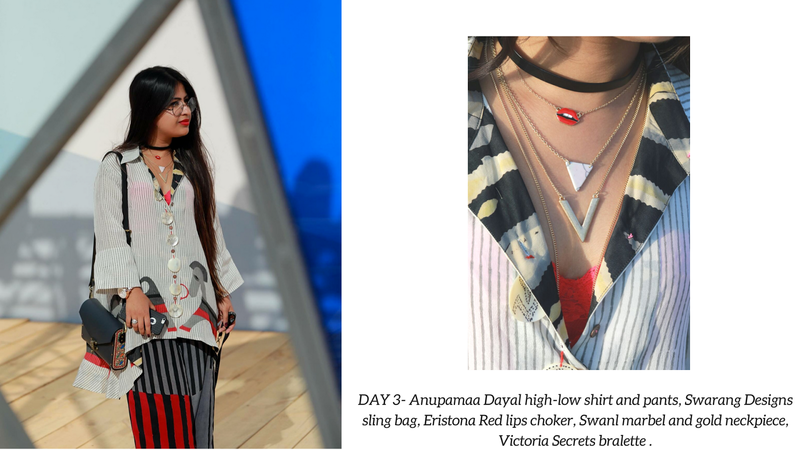 Amazon India Fashion Week SS'17 - BREVILOQUENT. 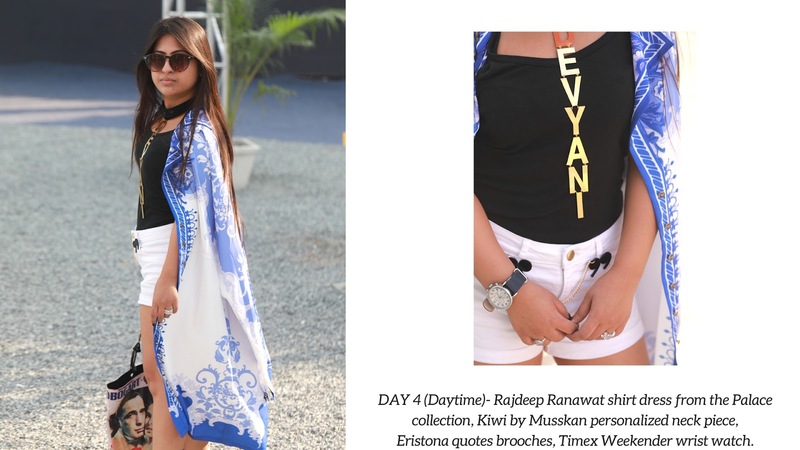 Fashion Week updates start circulating and every person related directly or indirectly with this industry knows the best-worst-tiring-exciting-maybe disappointing-but fashionably high days are back. On the other hand I still consider myself as an outsider in the industry that thrives on compliments they don't mean and gossips that mean nothing. 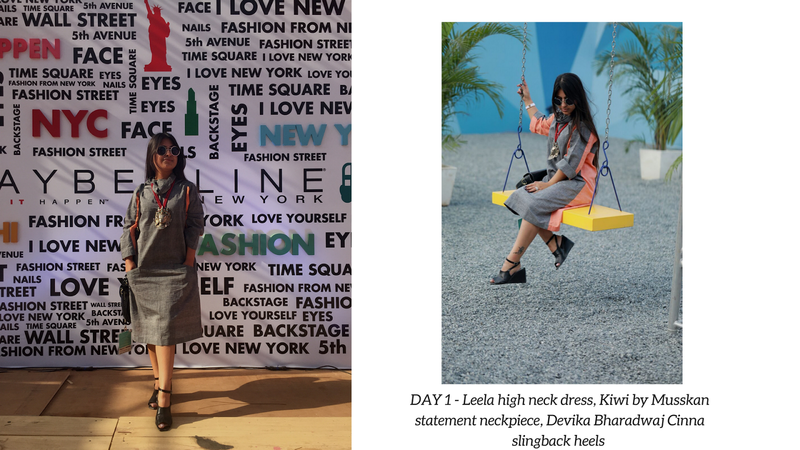 For me Fashion Week is the time where I can experiment with my personal style while still keeping my personal style and my space in focus. 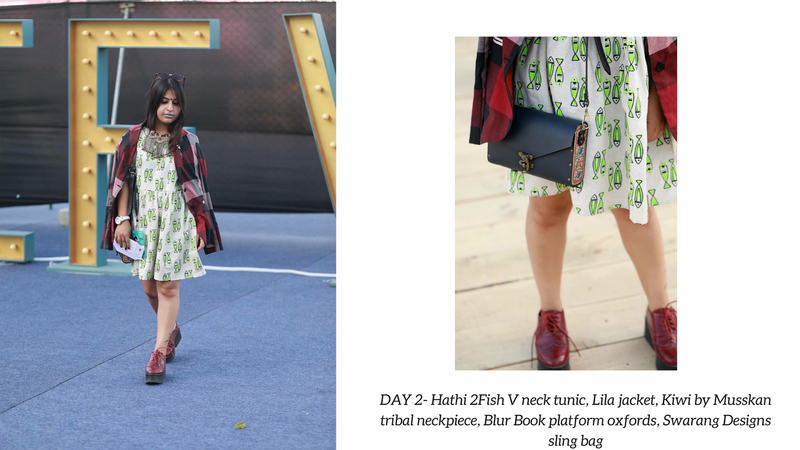 When we talk about capturing street style, it certainly means something you will quite easily flaunt on the streets but sadly a lot of the fashion people mistake it for something they will never dare to wear on a usual day. You might question my DAY 2 blue/grey lips, that I bought while I was in Singapore with a wish to attempt with different lip colors and you will see me wearing this often. 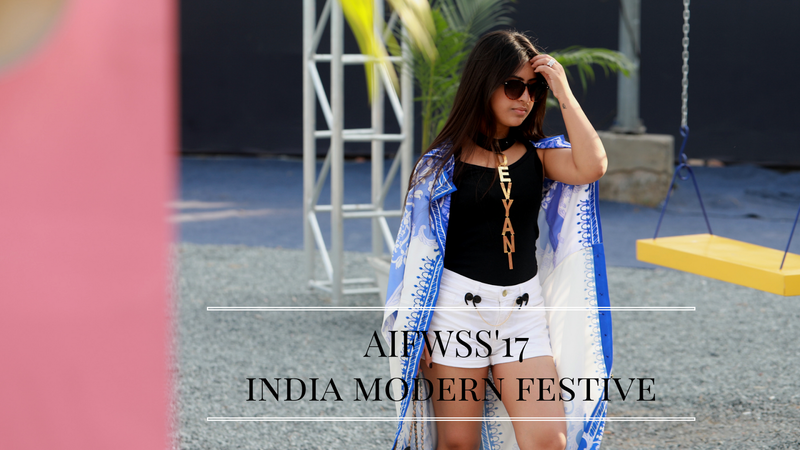 Coming back to the street style, the theme for #AIFWSS17 this time was a notch higher. From India Modern last year to India Modern Festive this year, which a lot of people misunderstood. My idea while putting down my looks was to promote like minded artists and designers who mix the two themes in their creations. Mostly hand made, organic, recycled, reused garments brought together my looks. 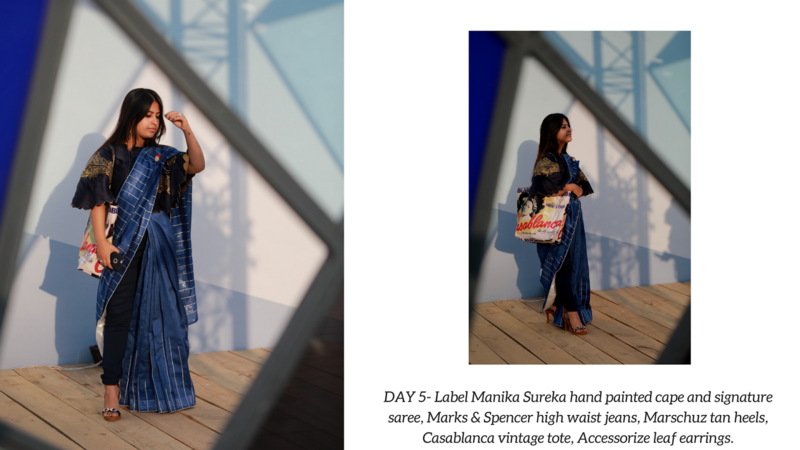 From Lila that does organic garments to Ksr from Calcutta which emphasizes on recycle, reuse and reduce to Label Manika Sureka's USP of hand painted garments. 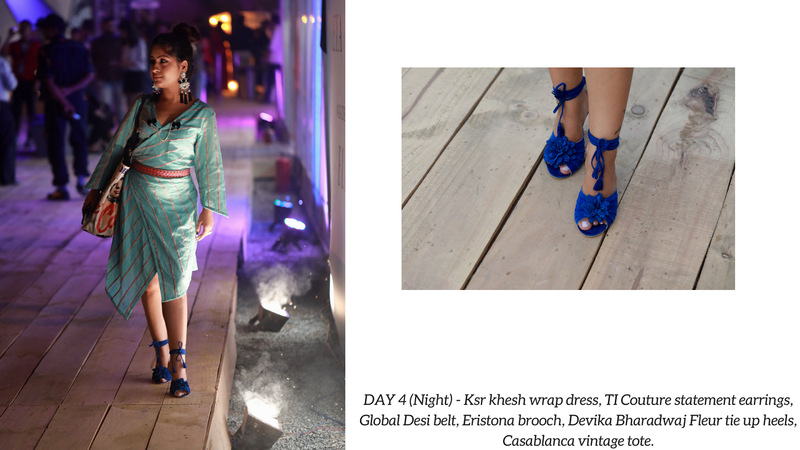 Each look was a concoction of India Modern and Festive while promoting what these artists do best in their space. Putting together my favorite designers and their designs in the next post. Until then here's what I wore.